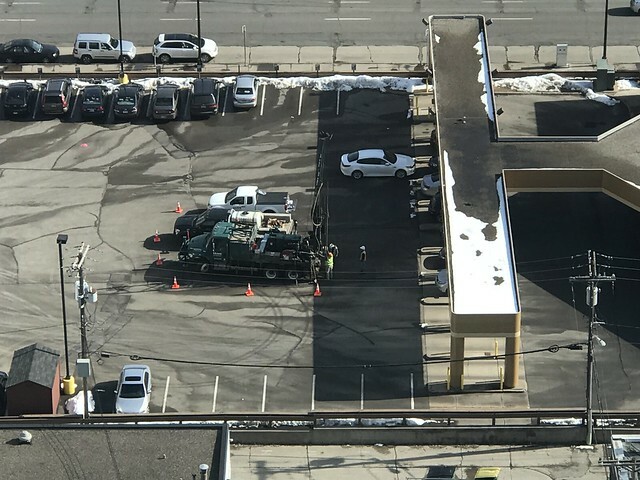 They did several core samples on the Wells Fargo parking lot on 8th between Portland and Park on Wednesday. Anyone want to speculate? The sooner the Nicollet-Central streetcar idea dies, the better. Anyone know when HCMC built a new helipad on the main building near the red entrance, and stopped using the top of their big parking ramp across Park? They finished it right before construction began on the clinic. They still occasionally use the helipad above the parking ramp.